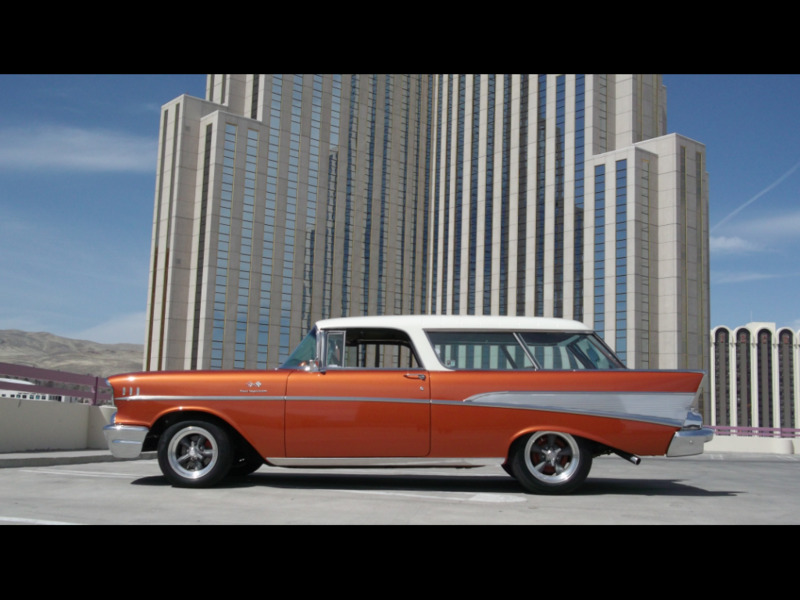 This is a super nice 1957 Chevrolet Nomad Wagon. Original CA car with no rust. Very nice build with a fuel injected V8 and a 4-speed manual transmission. The power steering and power disc (front) brakes make this Nomad a pleasure to drive. Ice cold A/C and power windows help this Nomad to be a really nice and usable car. The paint and chrome are excellent. The mildly custom interior is very nice. Take a look at the photos and please feel free to call us with any questions. David 775-843-2549 or Sharon 775-848-9630. Message: Thought you might be interested in this 1957 Chevrolet Nomad.